The permanent microscopes exhibit at the Pink Palace is getting a facelift courtesy of the Exhibits Department staff. 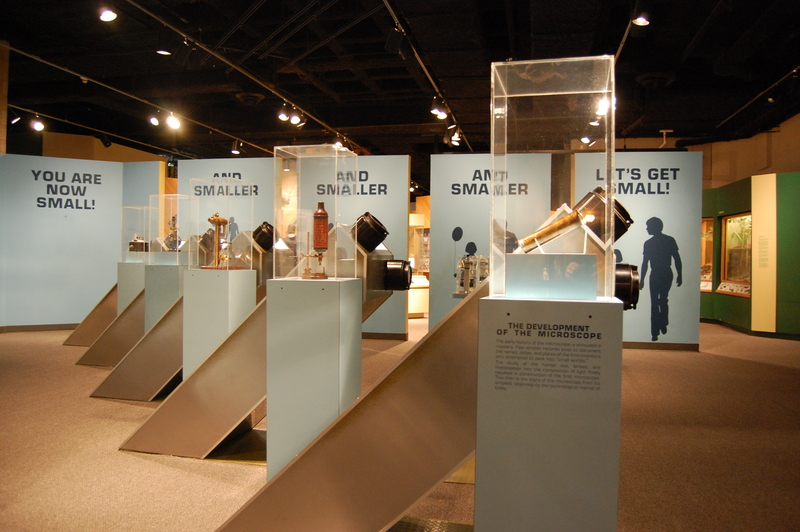 If you have visited the museum recently, you may have noticed that the cubic centimeter of earth theater has been broken. Staff members George Henderson, Jason Lineberger and Corie Walker are enclosing the theater for additional storage space. The “let’s get small” walls are being combined into one continuous wall that is getting a fresh coat of paint as well as magnified murals of spiders and insects. Graphic designer Cynthia Williams is redesigning the text panels and adding images to make the exhibit more dynamic. 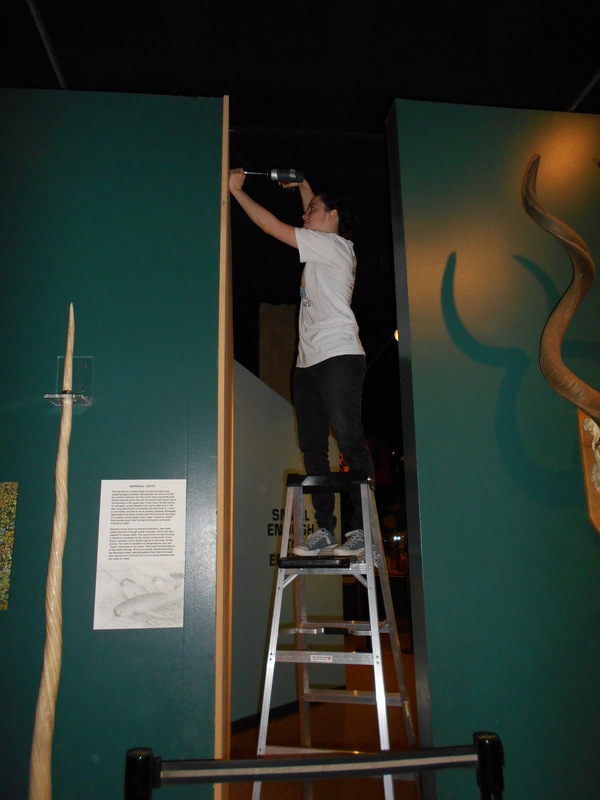 On the opposite side of the theater, the curatorial staff is developing a new exhibit about the tree of life that will complement the permanent exhibits on evolution. The thesis for this new exhibit is that understanding the tree of life is critical to understanding biology. All life is related, and the best way to illustrate this concept is the model of a tree. We will explore how our knowledge of the tree has changed over time, from the simple drawings of Charles Darwin to the complexity of modern molecular trees of life, and the exhibit will teach visitors how to read evolutionary trees. Both exhibits are expected to be completed by early fall.